James Farm Ecological Preserve (Ocean View). A sandy beach and the gentle waters of Indian River Bay will entice any dog into the water. There are plenty of ups and downs to give the 2.75-mile Pondside Trail a nice, sporty feel. Your dog will also approve of the wide, roomy paths and the packed sand and pine straw under paw. The atmospheric swamp of the Cypress Point Trail will make your dog feel more like she is in the Louisiana bayous than southern Delaware. Breaking out of the woods at this canine hikers’ paradise, you will be greeted by the best views of Brandywine’s Chateau Country anywhere. If hiking on the sands around the cape on the Atlantic Ocean and Delaware Bay aren’t enough for your dog, climb up the 80-foot Great Dune that is the highest pile of sand on the Atlantic coast between Cape Cod and Cape Hatteras. Prime Hook National Wildlife Refuge (Milton). The Pine Grove Trail follows a serpentine path between Turkle and Fleetwood ponds on lovely, paw-friendly pine straw beneath a phalanx of loblolly pines. 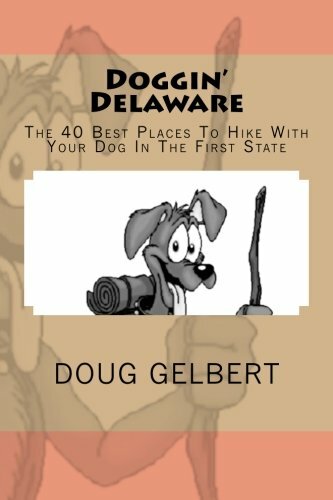 Your dog will hike through the ruins of one of America’s first amusement parks, along the histric Wilmington and Western Railroad. Before that, Brandywine Springs along Red Clay Creek was a pioneering resort. George Washington even came here to plan the defense of Philadelphia during the Revolution. The former duPont estate highlights the rolling hills of northern Delaware to its best effect with long views and native grasses. The Swamp Forest Trail circumnavigates the water and covers over seven miles and 26 bridges in its trip around Lums Pond. In for a penny, in for a pound - once you set out on this three-hour tour you are in for the whole trip. More than 14 miles of interesting and sometimes challenging trails with plenty of switches in terrain; at seven miles the purple-blazed Lenape Trail is one of the longest loop trails in Delaware.